On Tuesday, we all came into school excited to participate in our next TY workshop with Dave. We began our workshop by each choosing an African drum to play on, we played on drums called 'Djembe Drums'. We learned how to play lots of different rhythms on these drums. Next we moved on to creating Poly-rhythm sounds, playing different rhythms on various instruments. 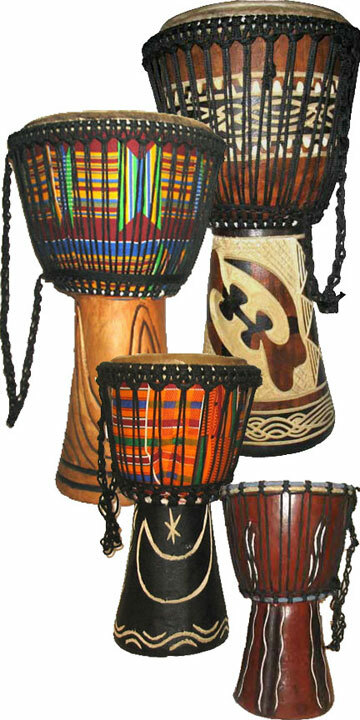 I never knew there was so many different African instruments that are used daily, I like others, just assumed the Bongo was the main instrument used! Near the our workshop, we had a freestyle period! This was where we seperated into groups and created our own rhythms with the drums and other instruments.